Get to Know Our New Community Coordinator! We're happy to welcome Elyse Dawson as Catapult Chicago's Community Coordinator! 1. Originally from Beavercreek, Ohio, she moved to Chicago in 2010. 2. 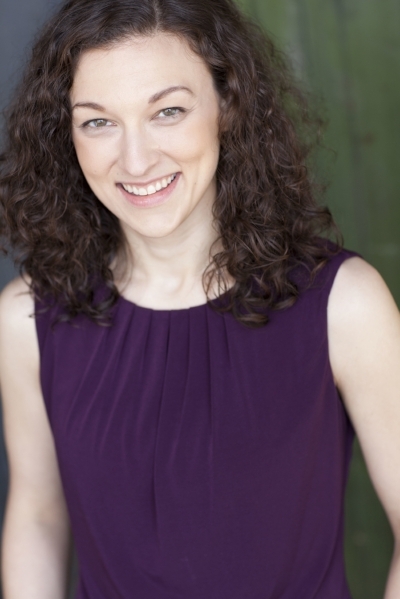 When she's not rocking the office, she's an actor and stage combatant. She is Co-Artistic Director of Babes With Blades Theatre Company. 3. She's a big horror buff and has a podcast, called The Girls Next Gore where she and her co host review movies. 4. She <3s video games and grew up as a SEGA kid. Her favorite console is the Dreamcast and some of her favorite games are Shenmue, Dragon's Lair, and Red Dead Redemption. 5. She is convinced that peanut butter will be the best nutritional supply in an emergency state. Every entrepreneur knows the statistic. Somewhere around 90% of startups are going to fail, and even the best ideas with the best execution can succumb to the risky nature of starting a new business. But at Chicago incubator and co-working space Catapult, the numbers look a little different. In fact, since the space launched five years ago, 90% of the startups that’ve come through its doors have been acquired or are still active today. Catapult isn’t as big and flashy as some of the competing co-working spaces around town—it’s just 10,000 square feet—but it boasts an enviable startup hit rate that you’d be hard pressed to find at any other space in Chicago. Its member companies have included some of the hottest startups Chicago’s seen in the last half decade, including Shiftgig, Opternative, Bucketfeet, Rippleshot and Jiobit, along with Shark Tank standouts Packback and Rent Like a Champion. Since it launched in 2012, Catapult members have raised $150 million in venture funding, hosting 43 companies that have employed 800 people. Five of Catapult’s members have been acquired, including Plantlink (acquired by Scotts Miracle-Gro), TempoIQ (acquired by Avant) and Tastebud (acquired by Raise). Among the few failures Catapult has seen is wearable tech startup Rithmio, which raised $3.6 million and shut down at the end of 2016. So, what sets Catapult apart? Not just any startup can come in and rent desk space. Companies interested in joining Catapult must pitch their businesses to Catapult’s members, who then decide whether or not to admit the company into the space. Startups have to be beyond the idea stage, have proven business traction, product-market fit, around 10 or less employees, and generate revenue, Catapult General Manager Caitlin McAllister said. Not every startup gets in (Catapult turned down two companies last month), and it’s a model that helps the small co-working space punch above its weight, she said. Catapult, which is industry agnostic and doesn’t take equity in startups, also fosters a spirit of collaboration between its member companies and the alumni network of startups that have since moved out, McAllister said. And Catapult’s newest members have the potential to keep the co-working space’s batting average high: Fly.io, an Application Delivery Network that makes a company’s apps run faster, is co-founded by Kurt Mackey, who previously founded Y Combinator-backed Compose, which sold to IBM in 2015; Rhabit, founded by two former NCAA tennis players, gives aspiring athletes access to top tennis coaches and professionals through instructional videos and online lessons; and Pay Your Selfie lets users get paid for, you guessed it, taking selfies while providing custom data to brands. Its clients include Crest toothpaste and Goose Island beer. Catapult has also gone through a space renovation and a website overhaul to give its members even more resources to build their businesses, McAllister said. Page Vault, Catapult's newest resident company, announced it raised $1.3 Million to grow its team and technology. Investors include IrishAngels, Pritzker Group VC, Foley Ventures, and Great Oaks VC. Page Vault's software allows lawyers to securely capture web content for use as evidence in the courts, providing a trusted third party "chain of custody" necessary for admissibility. It's easy to use, so legal teams can use it themselves. Player's Health, formerly Team Interval, has graduated from Catapult. Founder Tyrre Burks joined our space in January 2014 as an Associate member. During Team Interval's tenure at Catapult, they grew and matured as a company. In the spring, the growing team moved into a designated office, becoming a Catapult Resident. This winter, they moved into an even larger office. BucketFeet is hitting it even bigger with $7.5 million in Series A funding. JumpStart Ventures (led by ContextMedia's Rishi Shah and Shradha Agarwal) led the fundraising round. Since it was founded in 2011, BucketFeet has raised $13.3 million and grown exponentially. The sky's the limit for this incredible company connecting people through art, and giving the world very cool shoes in the process. Congratulations to founders Aaron Firestein and Raaja Nemani on their continued success. At Catapult, we are proud to say "we knew them when..."
Chris Cain, Catapult cofounder and Foley attorney, was featured on Bootstrapping in America on the tastytrade network. (Click here to watch.) Chris talks to Tom and Tony about all things entrepreneurs, Catapult, and how he helps technology startups. Shoutouts to Catapult alumni Shiftgig, TempoIQ, Symbiosis Health, and StyleSeek (now Tastebud). Stay tuned for his answer to the question, "Are you Superman?" We are excited to welcome Page Vault to our Catapult Community. Led by cofounders Jeffrey Eschbach (CEO), Todd Price (CTO), and Stephen Nazaran (Director of Ops), Page Vault comes to Catapult with over 35 years of business experience. Tastebud Technologies (a Catapult alumni company) has acquired SocialCrunch in a stock deal, to bring its mobile technology to brick-and-mortar retail. The two Chicago-based startups are combining forces to bring the best of beacon technology, data collection, quiz tools, and style games to "help track consumers, discover their tastes and offer them on-site deals." Congratulations to MentorMob, first in the Catapult "graduating class" of 2015! MentorMob, the lifestyle learning website, has been a vital part of the Catapult community from the beginning - it was one of the original five resident companies. Kris Chinosorn, co-founder and Chief Executive "Mobster," is also a co-founder of Catapult. Last month, an American Express camera crew was at Catapult, interviewing Ethan Linkner cofounder and SVP of LearnCore. Finally, we get to see what that was all about! Check out the video about Making the Sale on American Express OPEN Forum. Find out the ingredients of Ethan's "secret sauce" for making the deal. We are excited to welcome WeeVu, led by brother and sister founders Matt & Steph Strauss, to our community as an Associate Resident. Congratulations to Opternative, graduating from Catapult and moving into their own office space. Opternative joined Catapult in November 2013 and what a year it has been! In February, Opternative closed a $1 Million seed round of funding and generated a lot of great press surrounding its reveal to the public. In September, they were one of only 30 midwest tech startups selected to participate in the first Chicago Venture Summit. Check out co-founder and CEO Aaron Dallek's interview on Bootstrapping in America, and cofounder and EVP Dr. Steven Lee's interview with Catapult from our Catapult Company Profile series. ContextMedia's new office captures the essence of the company with its physical space. Watch the video from Chicago Creative Spaces, showcasing the amazing features of the new office (from treadmill desks to collaborative spaces to glass wall of employee photos), while also highlighting ContextMedia's company culture. The office was built by Leopardo with furniture by Henricksen, a Catapult sponsor. What an amazing job they did with the innovative, functional and comfortable digs! Congratulations to Shiftgig, raising $10 Million. This is not just a big win for Shiftgig, but for the entire Chicago startup ecosystem - all of the funding was raised from Chicago-area VC's, including Gary Holdren of Garland Funds and Richard Kiphart of KGC Capital (who also backs Get Set, another Catapult alumni company). We are excited to welcome Rithmio to our Catapult community! Rithmio is a gesture recognition software company that has developed the world's first platform that can automatically learn new user-defined gestures in six to ten seconds. Congratulations to Matchup, on their $800,000 seed round funding! They exceeded their goal of $650,000, and hope to go from 5 to 10 employees by January. We look forward to a bigger Matchup team around Catapult! Catapult co-founders Galen Mason and Vishal Shah were recently interviewed by Ken Rutkowski on the Business Rockstars radio show. You can listen (and watch) on YouTube (fast forward to around 15:30). Galen (attorney at Foley & Lardner, a Catapult sponsor) and Vishal (co-founder and CEO of LearnCore, a Catapult resident) talk all things Catapult and the Chicago tech startup ecosystem. New York is the first lucky city to benefit from Cocktail Courier - a premium cocktail delivery service. Powered by ShakeStir, the premier online community for professional bartenders (and a Catapult company), Cocktail Courier delivers all the necessary ingredients (even the garnish! ), along with printed step-by-step instructions on how to make the selected award winning cocktail.